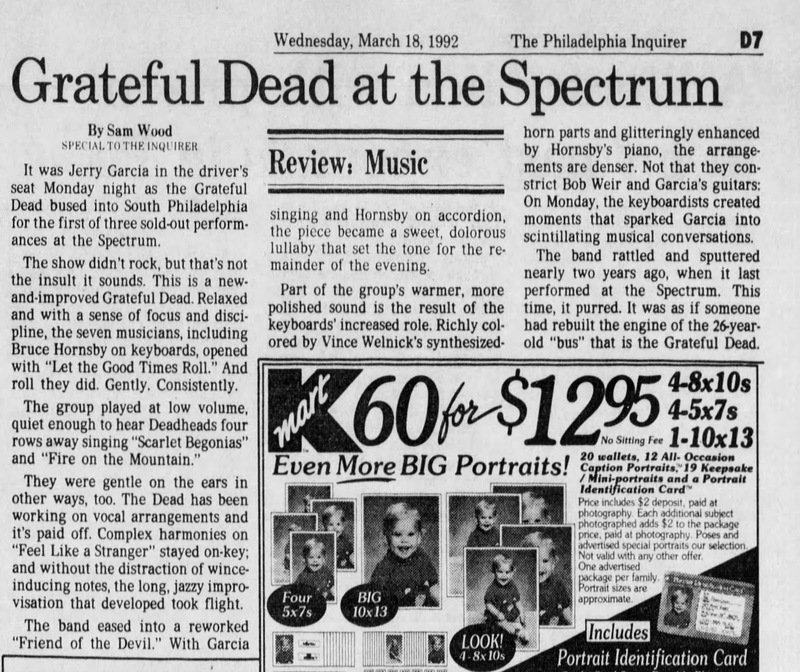 Newspaper mentions growth for the Grateful Dead were off the charts between 1968 and 1994, with the biggest growth coming after Jerry Garcia's return from his coma in 1986. 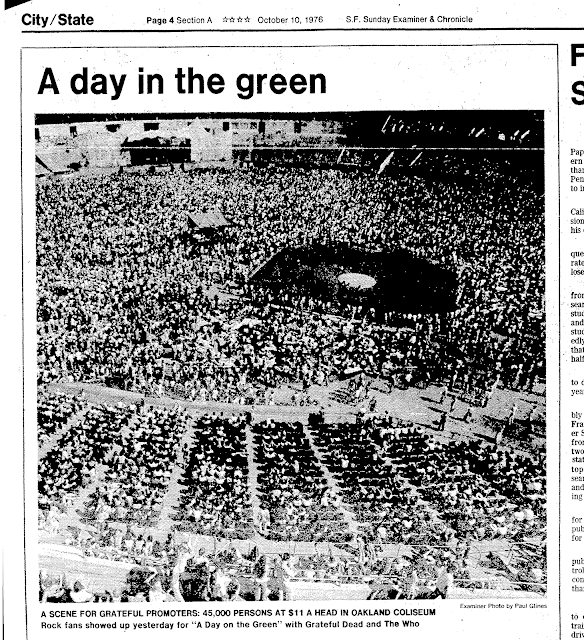 The return, coupled with stadium tour with Bob Dylan saw the total number of mentions in 20 key newspapers grow from 474 in 1968 up to 4,165 in 1987. 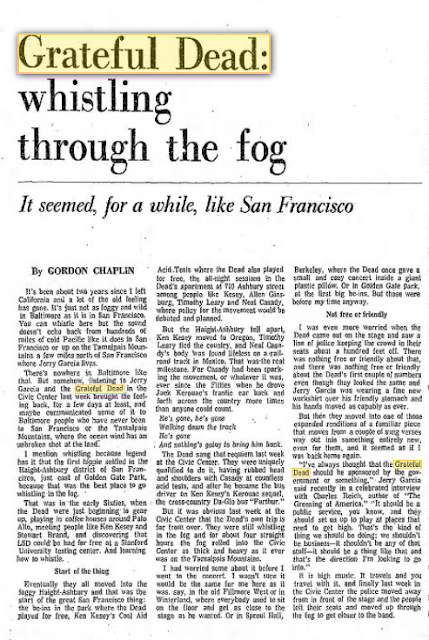 While there was a big jump from 1968 to 1973. a lot of this was due to coverage of the Watkins Glen event, especially in papers like the NY daily News and Philadelphia Inquirer. Most of the 20 papers I selected for this study, were very pro-Dead, which reflected their local readership. 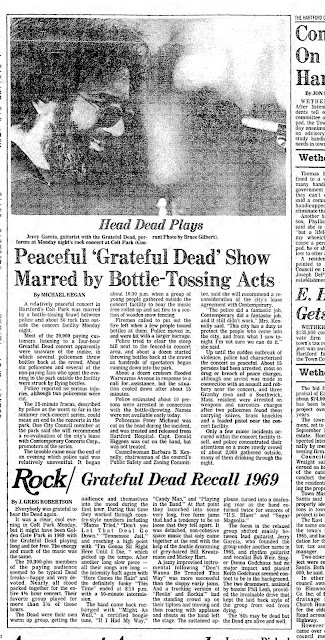 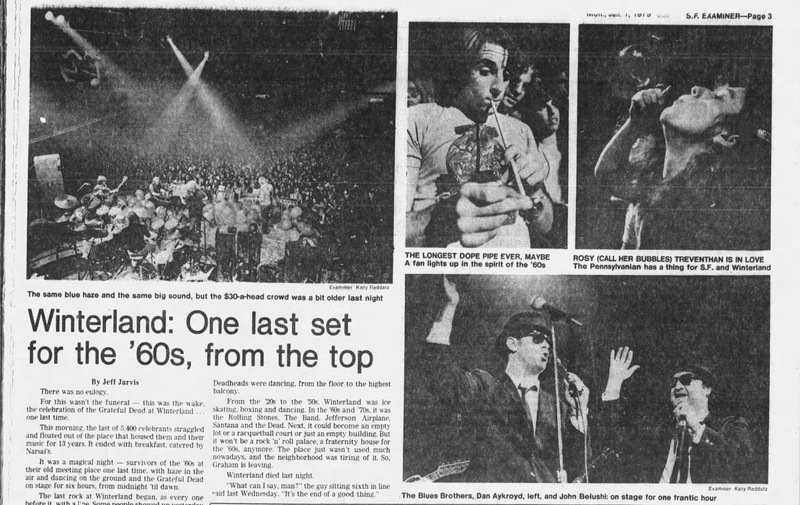 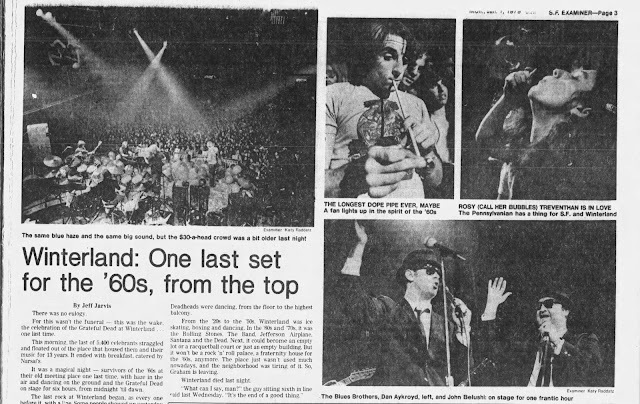 After back to back to back to back blow up shows, the St Louis Post-Dispatch in 1973 became a top-5 nationwide paper for Dead fans to read about the Dead. 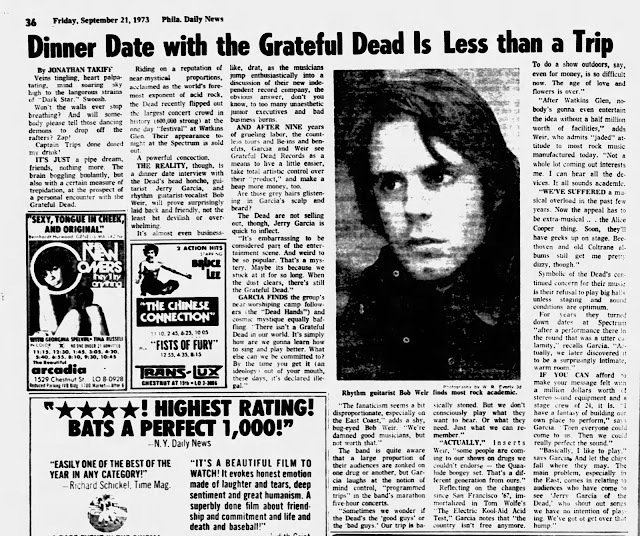 The hot 1977 shows saw the Los Angeles Times and the small Asbury Park press both significantly increase their Dead coverage, as did the NY Daily News and the San Francisco Examiner and Chronicle (with about a million Winterland shows that year). 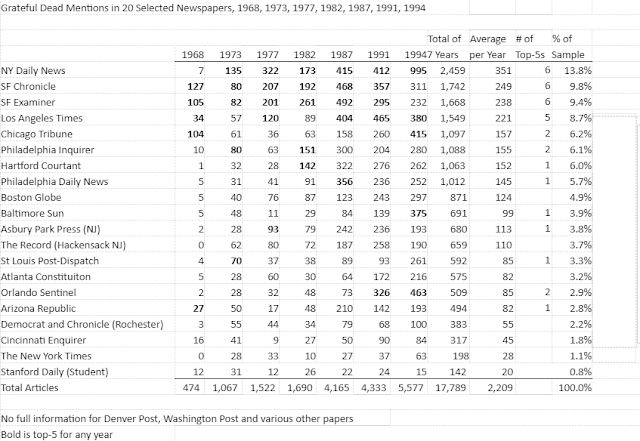 Dead coverage pretty much plateaued out with 1982 seeing very limited growth. 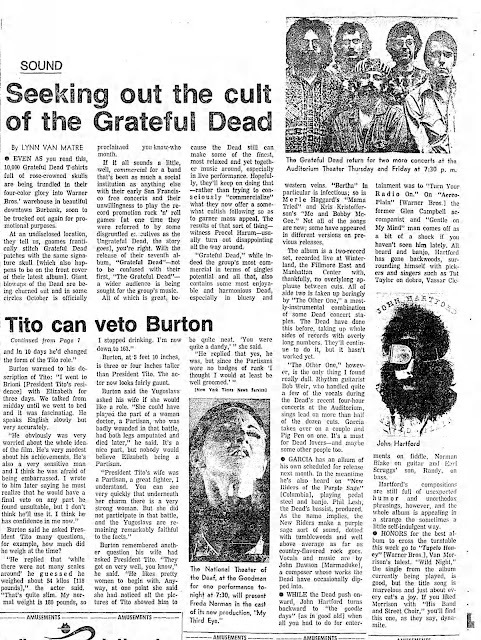 One paper that expanded its coverage in the early 1980's was the Hartford Courtant. 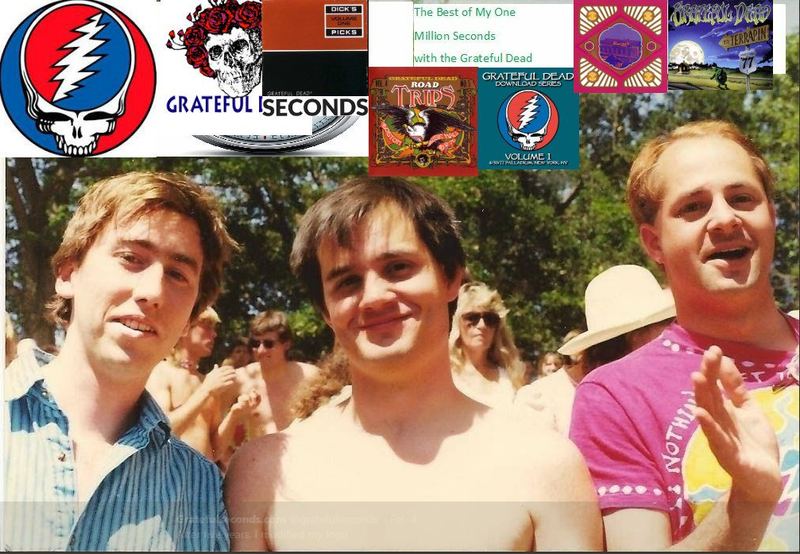 Then came 1987 with more than double Dead awareness from 1987. Interesting the Orlando Sentinel started its massive push into Dead news (maybe Deadheads started to retire to FL?). 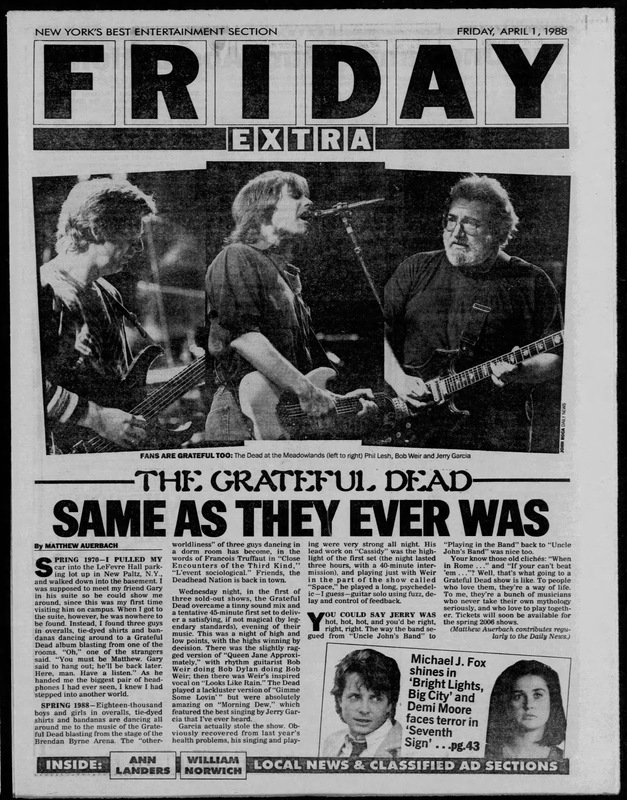 And 1987 news stayed at that level 1991. 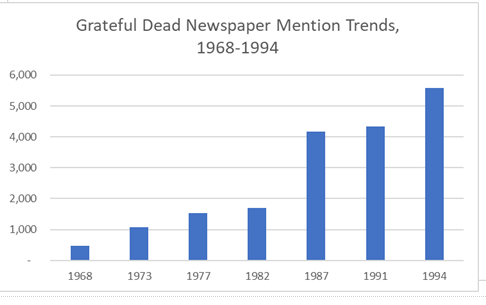 Finally during the era of the 1990's as the Dead were typically the top-grossing touring act of the era, we saw another giant increase in articles on the band.